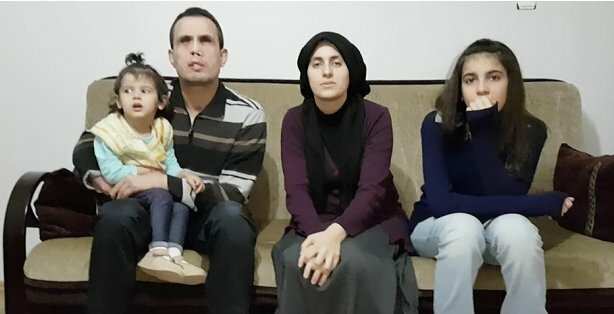 Özlem Konakçı, the wife of former bomb disposal expert Bilal Konakçı, was detained over her alleged links to the Gülen movement, which the government accuses of masterminding the July 15 2016 coup attempt, on June 9. Bilal was retired from his position at İzmir Police Department after he lost his right hand and both eyes while trying to dispose of a bomb in 2009. Speaking to Yeniçağ columnist Ahmet Takan, Bilal said police and gendarmerie forces raided their homes at 8 in the morning on June 9 and detained Özlem after a search at the home. When asked about the reason, police said they had received a complaint from two people that Özlem is linked to the movement, Bilal added. Former bomb expert also also spent 35 days behind bars over similar accusations before being released on judicial control on Jan 25, 2017. “When I asked him how he meets his needs, Bilal Konakci’s answer was heartbreaking: ‘I have two daughters; one of them is 12 and the other one is 2 years old. We depend on support from neighbors and what the elder daughter could afford. Also, my 70-year-old father and mother, who has one of his arms injured support us’,” Takan reported a recent phone call with Bilal.